Honestly, there are very few things in life that feel as good as going to the restroom when you’ve been blocked up for days. Sadly, over 42 million Americans are persistently “stopped up”–they feel this pain on a daily basis. Being “stopped up” means you can’t use the restroom, even though you want to really badly. It also means you feel bloated all the time, and you have to tip-toe around certain foods. You feel like your body has you in shackles. But… does that mean you are “constipated”? In fact, it’s likely what you have is very treatable: you just need a helping hand. According to gastroenterologist Dr. Charlene Prather, many patients just say they want to have a normal schedule–where they can just go in, do their business, and get out. Luckily, you’re about to learn about a powerful bowel helper that is 100% natural. Meet the Ancient Leaf that Gives Bowel Relief. This ancient herb’s origin is from Arab regions beginning in the 9th century, and has been used to treat constipation since then. It’s so widely used that it’s actually been approved by the FDA as a treatment to constipation. That is rare. Isn’t it amazing that a natural herb from the earth has the healing power to help relieve constipation? 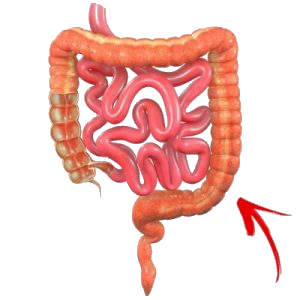 We’re just at the tip of the iceberg, as the benefits of Senna for your colon are endless. You need to know why we’re so excited about this herb. We’re telling you about Senna because it has changed thousands of our customers’ lives since 1999–those who have struggled with occasional constipation. For example, here’s a testimony of someone who had reached her limits. Cheri M. switched to a natural formula with Senna Leaf, and her life is changed forever. Can you step into her shoes and imagine what that’s like? Senna helped her overcome the irregularity–the shackles–of pain medications. Maryam K. found a Senna colon cleanse formula to be a lifesaver. Every time I take these pills they help me go to the bathroom !! Since I’m always constipated I cannot live without these pills !! Lifesaver !!! If you want to go to the restroom but you can’t, you can understand how Maryam felt. What if your testimony were like that? What if you had a life without discomfort or occasional constipation? Click here to begin your new life with relief. If you’re in a pickle between where you are now and where you want to be, you’re not alone. Just like our customers before they tried Senna, your life may feel like this list below. You feel heavy and bloated all the time. You have a hard time going to the bathroom. Your bowel movements are infrequent or irregular. Your stools hurt (they are hard and make you push). You’re looking for a quick cleanse, a body reset. You’ve tried everything else and nothing has worked. You believe in putting all-natural ingredients into your body. We added the last one on purpose, because we know that all-natural cleanses are always the best for your body. 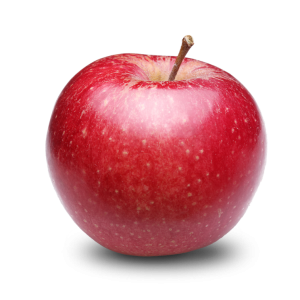 Or an apple without pesticides–one that’s freshly picked from nature. You’d choose the one without pesticides in a heartbeat (unless the other one costs much less, maybe). It’s the same thing when it comes to colon cleanses, and it’s the reason why Senna Leaf has been used to help alleviate constipation for over 1000 years. If you want safe, healthy bowel relief, you must go natural. Why Senna is Better Than Other Methods. Do you remember the days of castor oil? Oh my… If you don’t remember, just be glad you missed them. You’d pretty much consume spoonfuls of DISGUSTING castor oil, which would act as a very strong laxative. 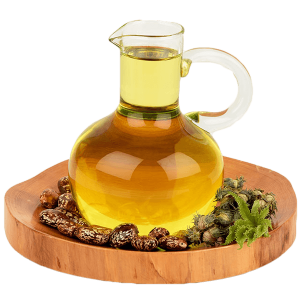 Castor oil breaks down in the small intestine, releasing ricinoleic acid–which is its main fatty acid. 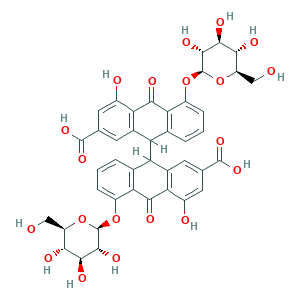 In fact, it’s even used to induce labor in females! Forget the oil. Let’s just shoot water up our bums. Yeah… We don’t know what were were thinking either. Hence, the enema was born. But enemas aren’t what they’re cracked up to be. In fact, they can be unsafe. They’re inconvenient. And certainly, they’re not something you brag about on social media. Instead of sticking a tube up your bum to relieve you of occasional constipation, you can take the natural route. And that route involves this ancient leaf. 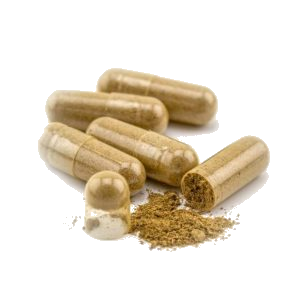 Senna Leaf is best taken in pill form, which allows the herb to quickly take action in your body and relieve you. What’s beautiful about this method is that it’s 100% natural–which is code-word for SAFE. No visits to the doctor. No high bills or subscriptions. No foreign objects inserted in you. No water shot up you-know-where. No chemical laxatives or prescriptions. With a colon cleanse using all-natural herbs like Senna Leaf, you can have bowel relief immediately, safely, and naturally. This ancient leaf is more than just a tantalizing, verdant-green leaf. Senna Leaf contains hydroxyanthracene glycosides known as sennosides. Here are some common benefits of Senna (backed by studies). Time and time again, this leaf has shown itself to be an effective constipation-fighter. It works well with other herbs. 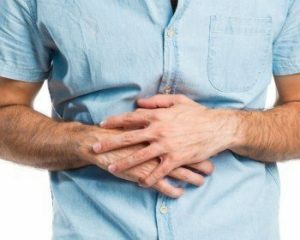 In a single-blind placebo study performed on 42 adults with constipation, the patients who were given Senna (alongside Psyllium) versus those without experienced a 15% increase in effectiveness. The added effect of the senna was clearly evident. The study found that only the group with Senna showed increase stool moisture, which only means one thing: less discomfort and more relief. It makes your movements more comfortable. While other herbs such as Cascara Sagrada soften the stool a bit more (and are in both of our cleanses), Senna is an excellent helper in bowel discomfort. But we’re not talking about making it a mushy swamp down there. No. It means you won’t have to strain enough for a hernia when taking Senna. 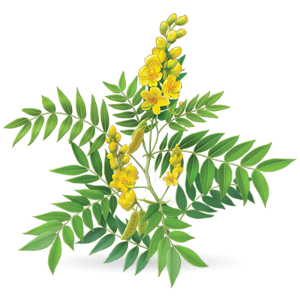 The glycosides in Senna increase fluid secretion by the colon, which ends up softening the stool and increasing its bulk. That’s why Eva T. switched to one of these cleanses with senna: She hated the discomfort without Senna. I have been using Gentle Cleanse for several years. I have tried other products over the counter leaving me with cramps and discomfort . I always can count on Gentle Cleanse to work every time without any discomfort . I even showed this product to my doctor! I highly recomend this product to any one who has difficulty with regularity. It can be used short-term or long-term. Senna Leaf, because it’s bulk-forming, causes the bowels to expand momentarily, which results in a reflex muscular contraction. This contraction usually happens in the large intestine (but also in the small intestine as the function “peristalsis”), when you perform a mass movement. Details be saved, Senna helps do much of the heavy lifting, which means natural, immediate bowel relief for you! It’s an antioxidant and protects molecules. When it comes to safety, you can’t go wrong with the natural route. Reducing oxidative stress via herbs can prevent damage to essential molecules in your body, such as nucleic acids, proteins, and lipids. Most importantly, it can give you your life back. When digestive complaints prevent you from spending time with the ones you love, having the freedom to do the things you want to do, or simply living a fuller live, Senna Leaf can help you take your life back. People who don’t suffer with occasional constipation won’t understand. They can’t. They don’t realize that suffering from occasional constipation feels like shackles. At the end of the day, if you need relief, you need relief. For immediate relief, choose the colon cleanse with Senna and other natural herbs that best suits you. Alleviate you from occasional constipation. 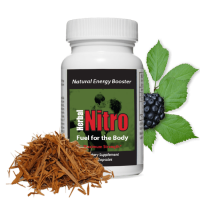 Restore regularity for bowel movements. Soften stool to help discomfort and pain. Aid in temporal weight loss support. Two Colon Cleanse Formulas with Senna: Each Unique. 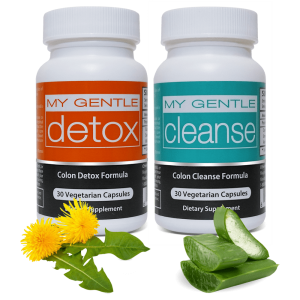 Each of the gentle colon cleanse formula has Senna Leaf along with a suite of herbs that help your digestive health. Take this short 4-question quiz to see which one suits you best. Have you done a colon cleanse before? How frequent are your bowel movements? Are your bowel movements "hard" or painful? For 20 years and counting, we&apos;ve stood behind our products, and will always guarantee your satisfaction or your money back. 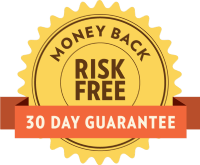 If you–for whatever reason–don&apos;t like it, you can return it within 30 days and we&apos;ll pay you back full (-S&H). Can I go about my normal day? Generally, we say 12-24 hours. 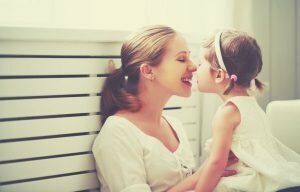 However, since our bodies are so unique and we each metabolize at different rates (with factors such as genetics, diet, and exercise playing a role), you will need to wait patiently to see how fast or slow your body responds. The main difference between the two gentle formulas is the way they act upon your intestines (bowels). Both will help you cleanse your colon, but depending on your needs one may be better suited for you than the other. If this is your first time, we recommend you try the Colon Cleanse Duo so you can see which of the two works best for your body. If your bowel movements are painful or “hard,” and you want a gentler helper, you should try this cleanse. Otherwise, if your bowel movements are infrequent or irregular, we recommend you try My Gentle Detox. Are these pills better than other methods? We believe so, yes, because our herbal formulas are a natural, non-invasive solution to bowel irregularity (if you experience chronic constipation, though, please consult your doctor). 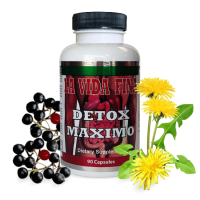 You can read more about popular colon cleansing methods here.